I like to consider myself an artist who isn’t artistic. At least not when it comes to drawing. I cannot draw worth a lick. If I need to make a storyboard, it’s going to be stick figures all the way. But as effective as stick figures may be for me personally to get an idea of what a shot or series of shots will be like, they wouldn’t instill a lot of faith in clients. So what I will often utilize is what’s known in the industry as a “mood board.” Essentially, it’s a collection of still images (either from actual photos, or screen grabs from movies or videos) that captures the essence of the visual style you plan to incorporate into your film. A couple of weeks ago I when I wrote about video creative briefs, I told you about the client who builds furniture out of cardboard. Here’s the mood board I created for that film. For this mood board I used screenshots from “Timber Furniture” promo by Kindling, “Sebastian Cox Furniture” promo by Aaron Koch, and “The Perfectionist” by Variable. 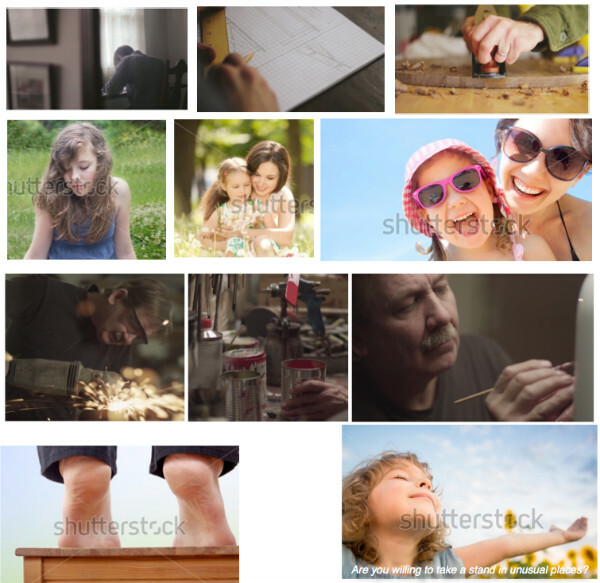 Shutterstock imagery are temp download files. 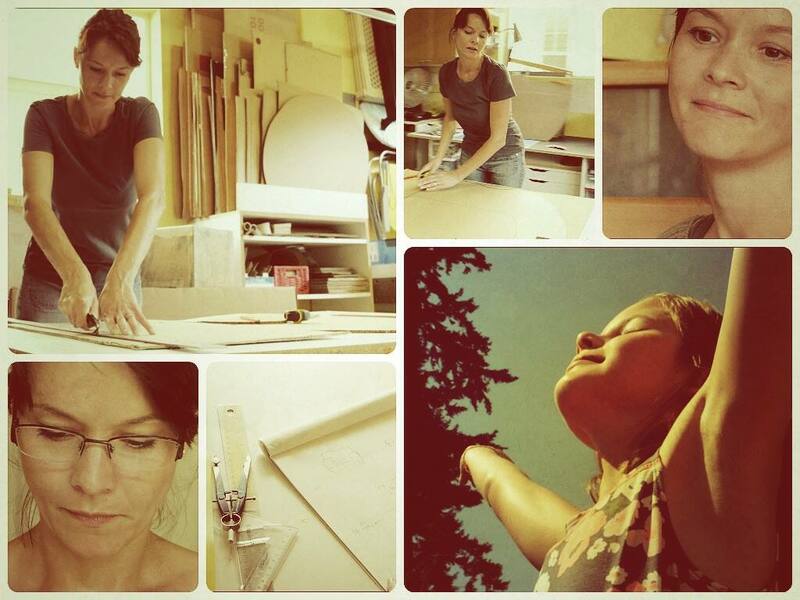 Mood boards are also great if you do a lot of documentary style work. Most of the work I do falls into this category. There’s no specific narrative story we’re telling, and much of the b-roll we get will be based on the interviews we capture. So mood boards work great for letting the client know what kind of b-roll you plan to capture. How do you convey your visual ideas to clients?